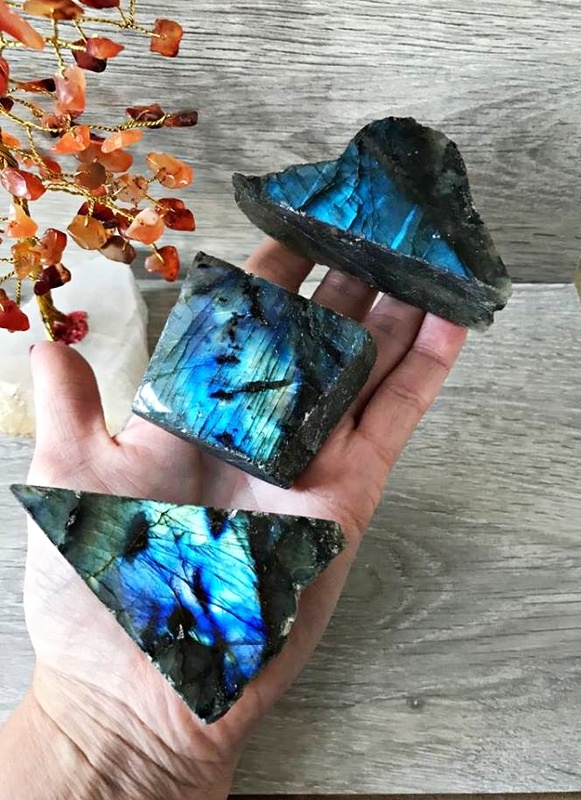 Labradorite, is probably best know for its magical array of superb colours, it shimmers with green, peacock blue and gold. 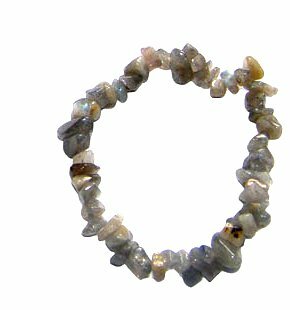 Labradorite is thought to be one of the most magical stones, commonly used by diviners, healers and shamans. 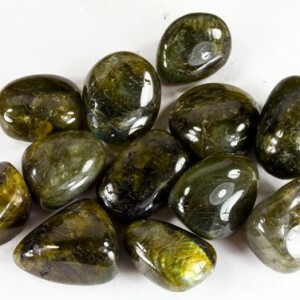 Carrying labradorite can help to bring your spiritual powers to the surface, enhancing intuition, clairvoyance and telepathy, meditating with labradorite can help you connect to spirit guides and also makes hands more sensitive, so a perfect choice for healers. Some say by tapping a wart with this stone will help to get rid of it and putting it on your third eye help with migraine, known for its ability to calm an over active mind, reducing stress and anxiety. 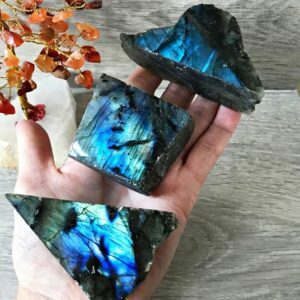 In everyday life labradorite gives originality a boost and help you to see a full range of possibilities at once, so if your feeling blockages this is for you. A very special crystal, comes in rough form with 1 polished face. Colour and shape may vary.